Wintry, snowy fun anytime you want! 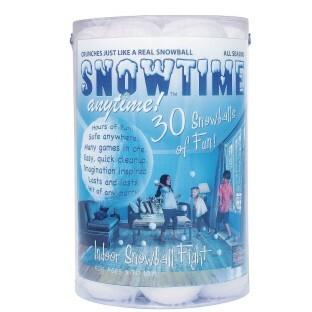 The only product on the market that allows kids of all ages to have wintry, snowy fun anytime they want - indoors or out! 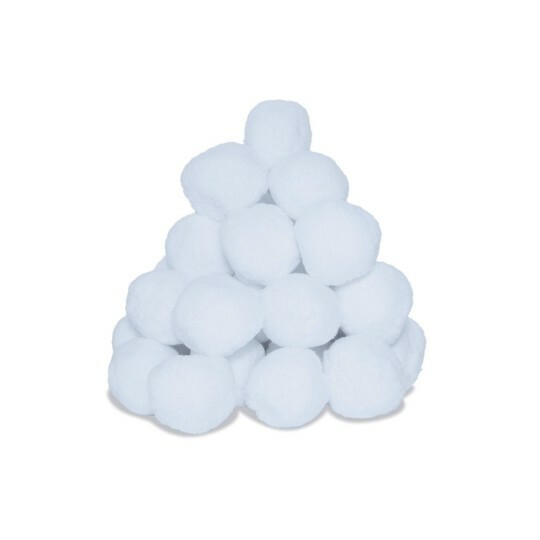 These specially designed snowballs are light and fluffy and feel like a real snowball! Soft and safe, they even crunch when you squeeze them! 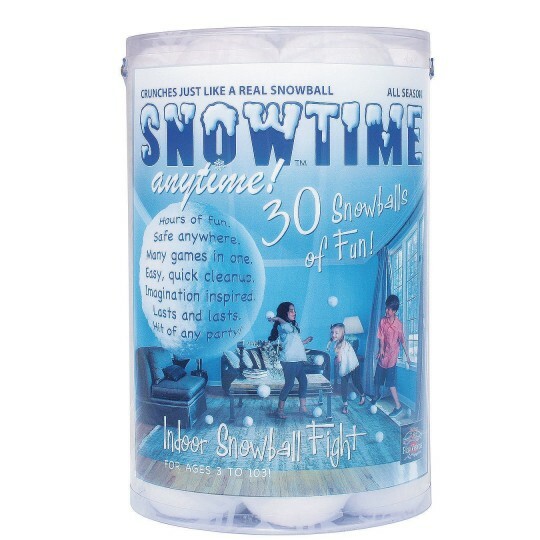 This pack comes with 30 Snowtime Anytime Snowballs in a big clear tub. I bought this for my family! We loved having a indoor snow ball fight! They have a unique crunch when us squeeze them. Lots of clean fun!!! Was a hit with everyone!! !